With all the talk from the “I hate my government” tea baggingÂ anti-health care crowd, I figured it was time to take a break from politics and revisit some of the hero’s from the past who advanced the concept of public health. The other night, at a party, a friend asked if I knew the one thing that Florence Nightingale did that saved the most lives.Â While I have dim memories of the “lady of the lamp” from my misspent youth, I mostly got to know her while teaching computer classes at the FSU College of Nursing.Â To nurses, Nightengale is a hero.Â She was a woman of wealth who grew up in Victorian England.Â As a young woman, despite the wishes of her parents, she studied nursing and became a force for good in the world of health care. Like many people, I thought that Nightingale was a sort of folk hero, caring for the sick and injured victims of the Crimean War.Â To my nursing school colleagues, she was the founder of “professional” nursing.Â Actually, her most significant contribution toÂ health care was her invention of a type ofÂ pie chart. 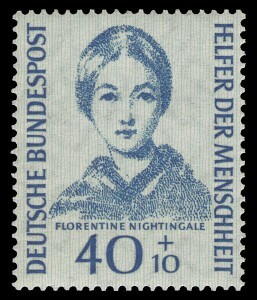 It turns out that Florence Nightingale, in addition to being a nurse, was a statistician and a lobbyist.Â Like many of today’s politicians, the English Parliament of her day were not always the brightest candles in the lamp.Â In order to explain the statistics of disease, and to educate politicians on the importance of health care, she used a pie chart, a new technology invented in 1801.Â Her testimony and advocacy resulted in some of the earliest public health legislation in the United Kingdom. So as our ‘leaders’ decry the idea of universal health care, let’s stop and raise a glass to Florence Nightingale, an early adopter of using graphics to educate management and a hero who knew that being healthy is good for everybody.Â Anyone who puts up a PowerPoint presentation owes her a debt. Country Joe McDonald (another hero) built a beautiful web tribute to Florence Nightingale.Â You can find it here. Thanks to my friend Stephen who educated me on Florence Nightingale and so more.